These days, trouble has been visiting DC comic-book movies with alarming regularity, and the latest rumors—though no more than just that at the moment—anticipate a further unraveling for the standalone Batman movie we’ve all been looking forward to. In the latest episode of Collider Movie Talk, host John Campea shares that, based on hearsay from three separate sources, Ben Affleck no longer wants to play the dark knight in the forthcoming film and is in talks to exit the project. Campea urged listeners to take this news with “a massive grain of salt,” but the mere prospect of the DC movie losing its Batman so soon after Affleck had left as director is painful to consider. Take this for what it’s worth. This is coming from a guy who has been burned twice by scoops, so please take this with a massive, massive grain of salt. Don’t share this around or whatever, but I’m just letting you guys know: Over the past four days, I’ve talked to three separate people, [who are] in one way or another connected in some way to what is going on over at Warner Bros. And what all three have told me was that, nothing about whether the script was thrown out or whether they liked the script, nothing about the direction that Matt Reeves is taking it in, none of that. But one of the things that has come out of the conversation with all three was this: They’re telling me that, Ben Affleck, make no mistake, he does want out. He doesn’t want to be Batman anymore. It’s what I’ve been told [...] I have been told that Affleck is talking with Warner Bros. in an attempt to get out of being Batman. If they do not let him out of being Batman, then the standalone Batman film that ultimately happens will be the last time we see Affleck as Batman, because apparently he wants out. So, at best, we will see Affleck in one solo Batman film. At worst, he won’t return at all, at which point it might actually be best to cancel the project altogether. To cast another Batman would put the number of different Batmans in this decade at three, which would certainly be overkill. 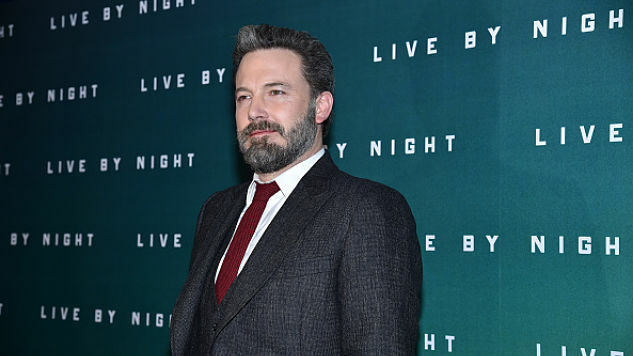 Affleck leaving as director was already a major blow to the film, given the director’s pedigree as a sure-footed genre formalist (which remains impressive even in light of Live By Night’s lackluster reception). If he exits the role of Bruce Wayne as well, we would lose his brusque, burly take on Batman, aka one of the best parts of the DCEU thus far. Stay tuned for more updates, and listen to Campea’s remarks below, around the 17:40 mark.